For over 25 years, fresh flavourful beer has powered the growth of craft brewing in the United States. Along the way thousands who love great beer have started their own breweries and created thriving businesses. Now the Brewers Association, the national association for small brewers, tells you how to follow in the footsteps of these successful entrepreneurs. 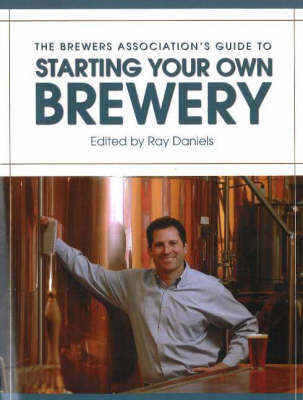 Written by industry veterans from every part of the country and every type of brewery, this text delivers the essential industry insight needed by aspiring brewers. In section one, individual brewers tell their stories of success -- and the lessons they leaned the hard way! Section two covers the ingredients and equipment of professional brewing so you can speak knowledgeably with brewmasters and suppliers. Section three delves into the marketing techniques used by both brewpubs and packaging craft breweries to help you to decide which business model to pursue. Finally section four covers finances including a sample business plan and essential operating data from current Brewers Association member breweries.